Miami Beach wants to get its convention center hotel up and running as soon as possible. To do that, they’re willing to give the developer early access to the site to conduct demolition and other prep work. Following overwhelming voter approval to lease City-owned property adjacent to the Convention Center to developers David Martin and Jackie Soffer for the construction of a hotel, City officials have been working toward a November 2022 open date. This week, City Manager Jimmy Morales told Miami Beach Commissioners that in order to meet the ambitious goal, they would need to grant the developers access to demolish the parking lot and small office building on the site and do other prep work so that ground can be broken next January or February. Without that, the site will sit idle while financing and permits are obtained which would probably take a year, he noted. He noted Martin has agreed to replace the parking lot and landscaping in the event the hotel doesn’t move forward “but I can’t imagine this project won’t move forward,” Morales said. “The sooner it opens, the sooner we can start booking the events that will want that hotel, I think the sooner our economy continues to move forward in a positive way,” Morales said. In a memo to Commissioners, Morales noted the developer’s projections for the first year of hotel operations total $6.2 million, accounting for the ground lease payment, real estate taxes paid to the City, resort taxes, and food and beverage taxes. Commissioners agreed with Morales and voted to authorize him to negotiate an early access agreement. 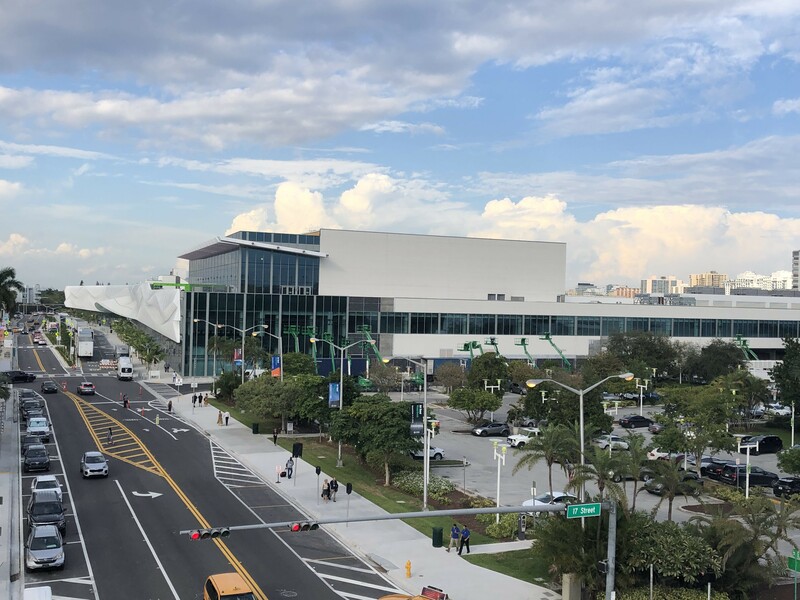 After two other attempts failed to generate enough support for a Convention Center hotel, the last in 2016, the Greater Miami Convention and Visitors Bureau said it estimated the City had lost $130 million in revenue since 2015 due to the lack of a hotel on-site. Planners have noted that numerous conventions will not take bids for host sites that do not have an attached hotel. This time around, 64% of voters approved the measure.